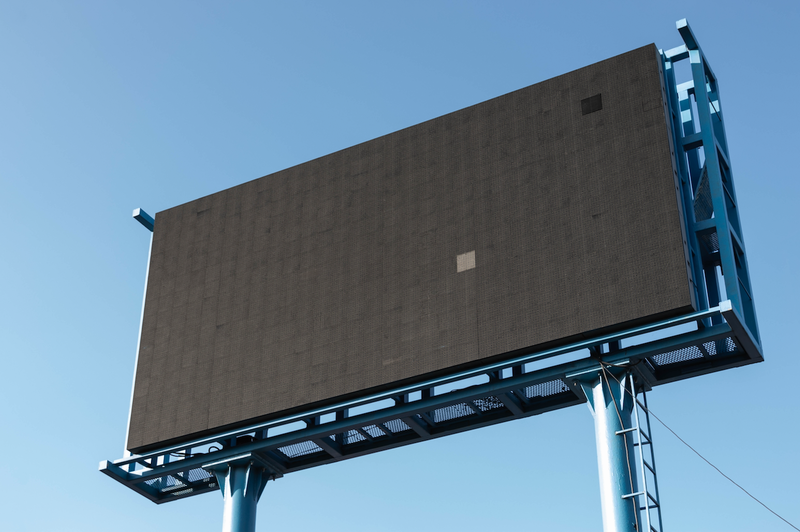 The Australian Competition and Consumer Commission (ACCC) has launched an initial investigation into the outdoor advertising sector, to assess whether the use of rebates and discounts are in breach of the Competition and Consumer Act. Mumbrella understands a number of operators were contacted with a request to provide information to help form a view as to whether advertising packages which heavily discount or provide particular geographical regions for free are in breach of the Competition and Consumer Act. Under the Competition and Consumer Act’s exclusive dealing provisions, corporations with a large degree of power are not allowed to operate in a way which would lessen competition in the market. The Act also prevents corporations from providing services at a price, if it means the person receiving the services cannot work directly or indirectly with another competitor. Another section of the Act prohibits corporations from giving or allowing discounts, allowances, rebates or credit on their services, on the condition the person will not acquire the same services from another competitor. Exclusive dealing and engaging in trade which is misleading or deceptive or making false or misleading representations about supply of services is also prohibited. Currently, the ACCC investigation is in the first assessment stage. The investigations typically commence and are completed within a three month period. Depending on the information found, the investigation will either be closed or escalated to an in-depth investigation. The Outdoor Media Association declined to comment. The investigation follows the ACCC’s clearance of two major outdoor mergers at the end of last year, between Ooh Media and Adshel, and JC Decaux and APN Outdoor respectively. At the time, the ACCC said the two mergers would not substantially lessen competition. Wowee!! That’s my box opened up right there! This Rodeo is about to get interesting, Cowboys! Have fun with this one, fellas. About time, despite the report will come out with nonsense outcome saying it’s all fine. Should really take a look at the current OOH specialist model as well. Well overdue. And needed for all media. oOh!media shares down 7%. QMS shares down 5%. Hurry up and roll out 100% programmatic billboards that we can buy through DSPs – Its the only way to survive. Please investigate and provide transparency around OOH specialist rebates as well please. Outdoor has been the last bastion of cowboy behaviour for the better part of this decade. Those pink shirt, grey suit wearing dinosaurs will finally have their day! Got to afford my pink shirts, 90’s ties, daily steaks and red wine somehow. Since the invention of the printing press, rebates, concessions and exclusivity agreements have been the norm for securing media contracts. No different than rebates, concessions and exclusivity agreements for securing freight contracts for the likes of DHL, or larger retailers like Harvey Norman, David Jones and Myer etc securing exclusivity to sell certain brands or access to special/exclusive pricing and rebate offers not available to smaller competitors. And not to mention, Ad Agencies/Design houses requiring clients to sign contracts of exclusivity/length to only use their services for certain services and providing discounts to secure those contracts. Good luck with that ACCC. This is treading on a basic fundamental of how business works as a whole, not just outdoor or media and proves just how out of touch the organisation is by chasing rats and mice while the FANGs slowly erode EVERYTHING from underneath. On the topic of steak and pink shirts – this has the whiff of a beef between ACCC’s Sims and Cook at oOh. Wouldn’t imagine the top 5 agency customers (80% of the pie) would be crying poor although they’d probably make the case the relative concentration (duopolistic?) in the structure of out-of-home gives them greater market power against an oligiopolistic quincunx. It boggles the mind why the ACCC isn’t spending their incremental taxpayer dollar frying much bigger fish, like the supermarket juggernauts whose trade dealing with suppliers are effectively a blood sport with their pound of flesh extraction via promotional funding and volume rebates. Also intriguing how the ACCC’s waving through of those two big deals last year created the market structure in the first place – buyer’s remorse or playing the long game?